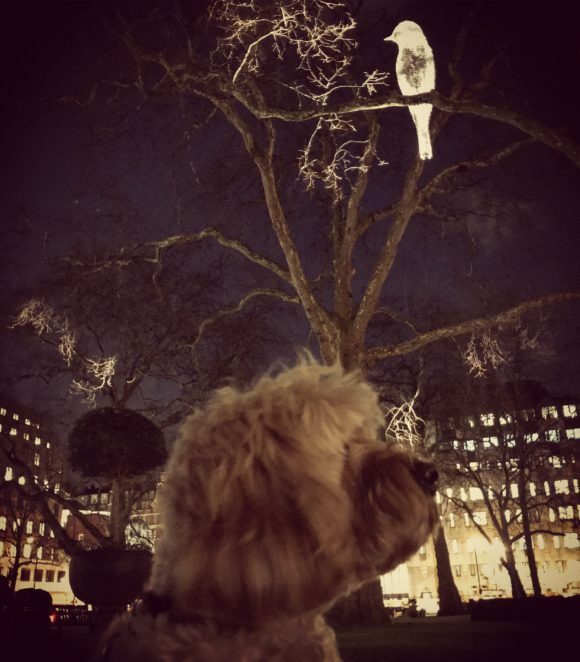 That’s a BIG Bird up in the tree and all lit up. 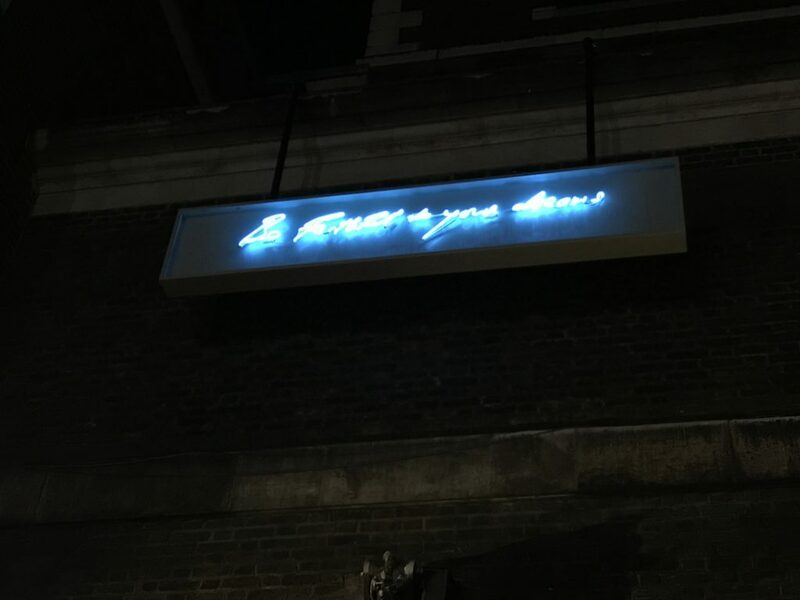 We went walking around Mayfair and West End London last night to look at the light installations. “Was That a Dream?” or as we call it “The Nightingale in Berkeley Square” was our favourite. They even had a soundtrack to accompany the installation. 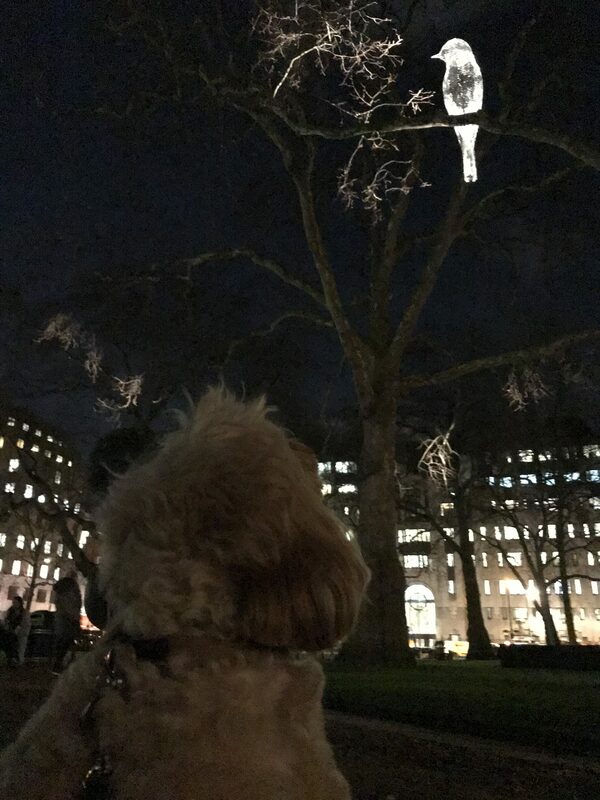 We walked from Berkeley Square to Piccadilly and came across this light installation at the Royal Academy of Arts – “Love Motion” by Rhys Coren. This Matisse-inspired animation of two paper-cut figures was projected onto the Royal Academy of Arts. 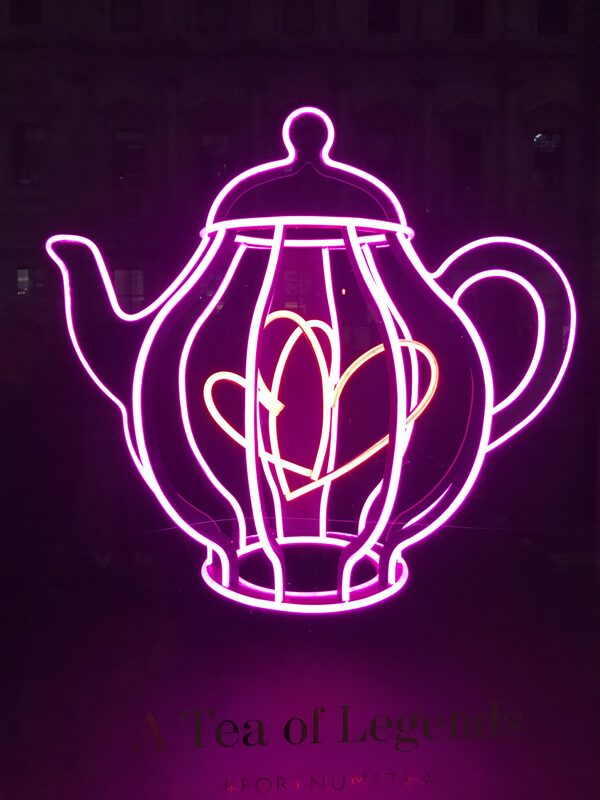 We’re not sure if this was one of the installations but we saw this in the Fortnum & Mason window. And around the corner from it was “My Light is Your Light“a tribute by artist Alaa Minawi from Palestine/Lebanon to Syrian refugees … We walked up to Piccadilly Circus – beside the newly installed “advertising” panels was a projection of “Voyage” (by Camille Gross and Leslie Epsztein) onto the Hotel Café Royal – We called it a night after that … there are a lot more – over 50 installations all over London illuminated just this weekend. Unlike the Paddington Bear installations, I don’t think we’re going to see them all! But it was lovely to see London light up … and we got distracted by some other kind of installations! We also stopped to have something to eat and drink at Maison Assouline. 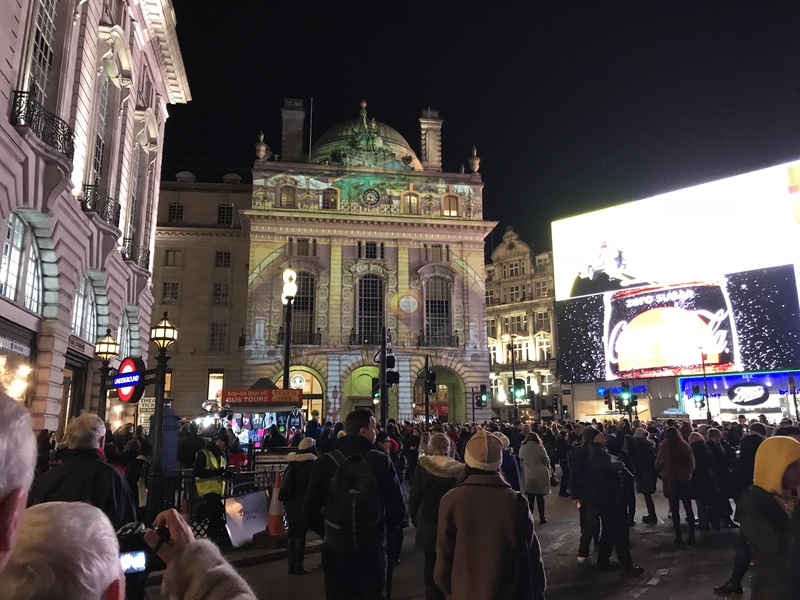 May’s comment: Lumiere London is back! We saw it two years ago and it was fabulous. This time it is spread out around London – not sure we’ll see them all. But what a lovely way to light up January when all the Christmas lights have been turned off and the days are still short. 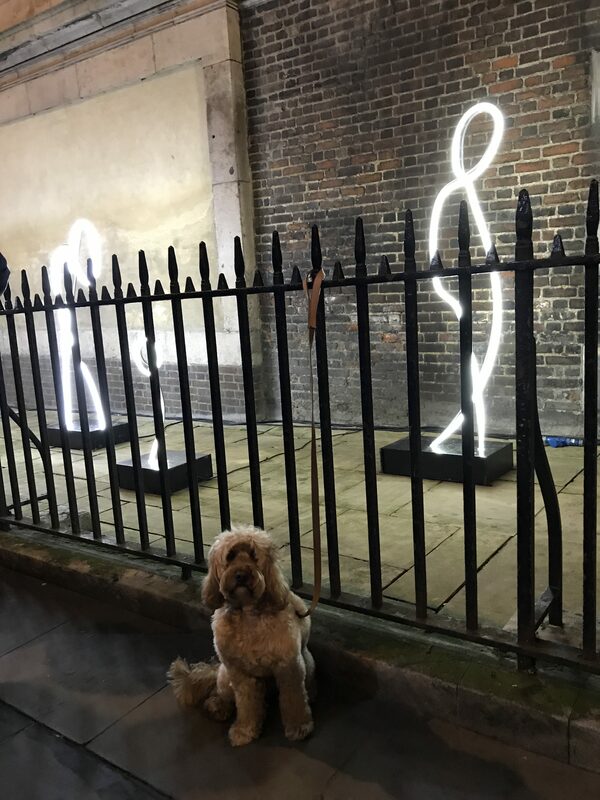 In fact, when we started off at 5:30pm to avoid the crowds, I thought the stores were opening late specially for Lumiere London but it was actually still opening hours. 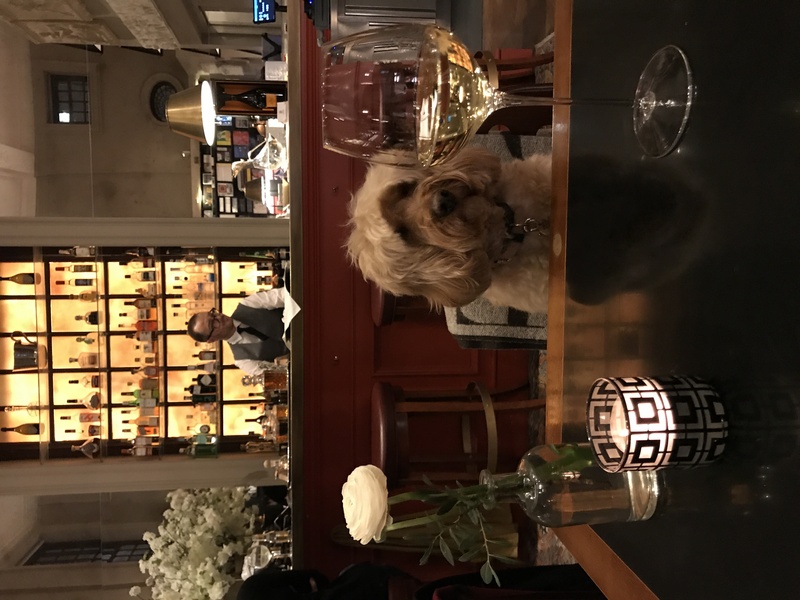 We were distracted and went shopping … And then had something to eat at Maison Assouline. I’m in London too. It’s all so pretty. We were over at Kings Cross. Very busy. Hope to see some more tonight before I leave. I love this post….but I enjoy all of them. Nice to visit London from the comfort of my Indianapolis home. The lights are fabulous, though I only get to see them through your fabulous posts! 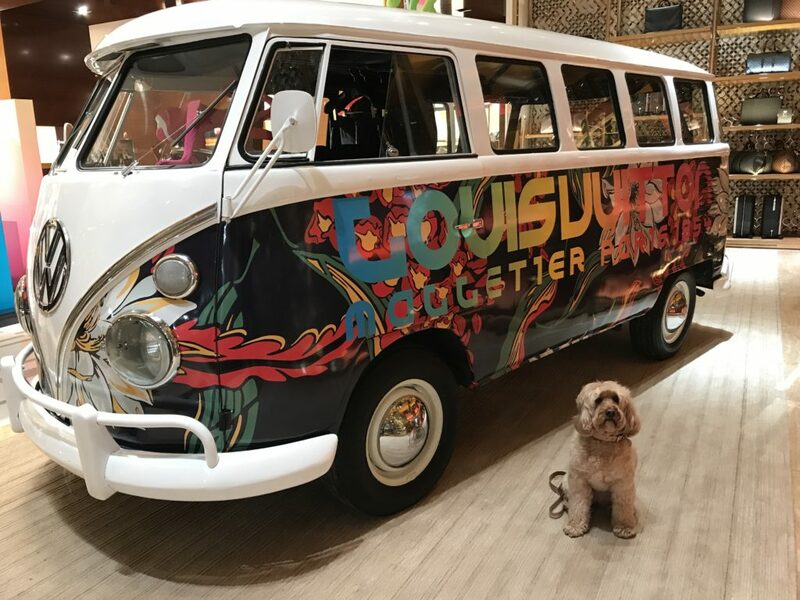 That VW bus is amazing, so cool! 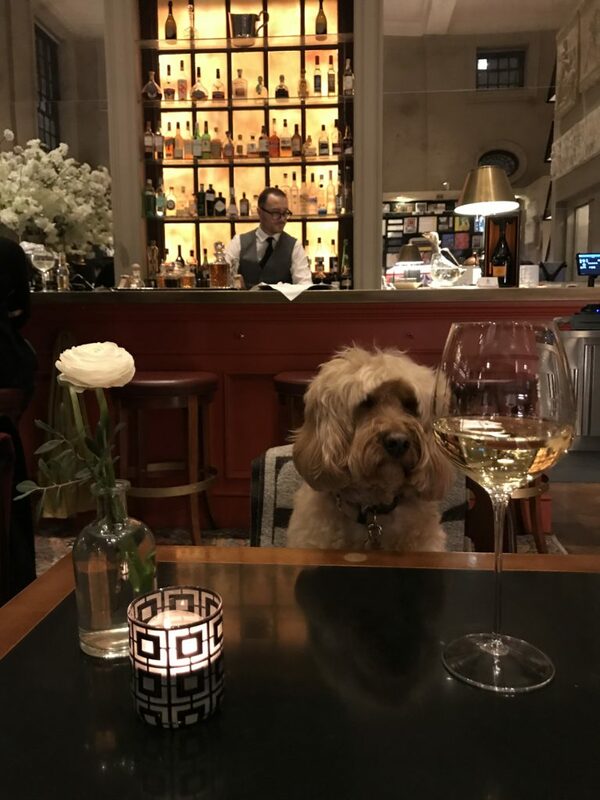 The photo of you and Darcy at the restaurant is priceless! You both seem so engaged in conversation. I didn’t k now u could bring your dog into so many public places. That’s not aloud here in the USA at all. I thought in the US you can go to shops but not restaurants. 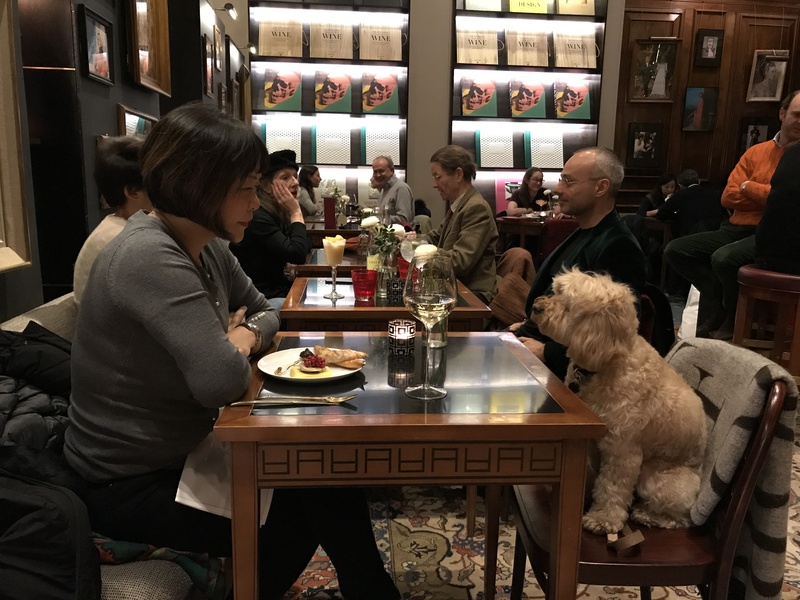 In London, there are quite a few restaurants where dogs are allowed and in most shops except where they sell food or when the owners have funny ideas about dogs. 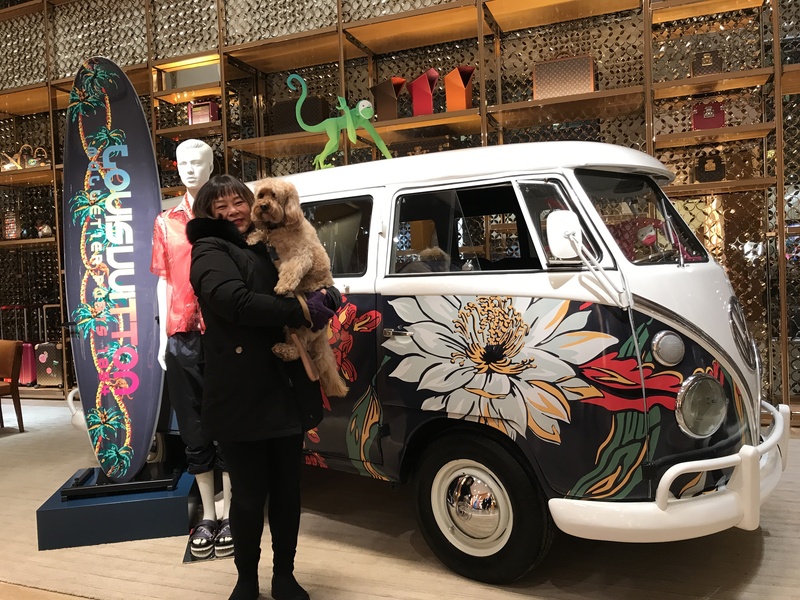 Most shops in US allow dogs. Not allowed in grocery stores. Allowed in some restaurants if the have outdoor seating.